Music Downloads Not Rated by the ESRB "Want U Back" (Cher Lloyd featuring Astro). 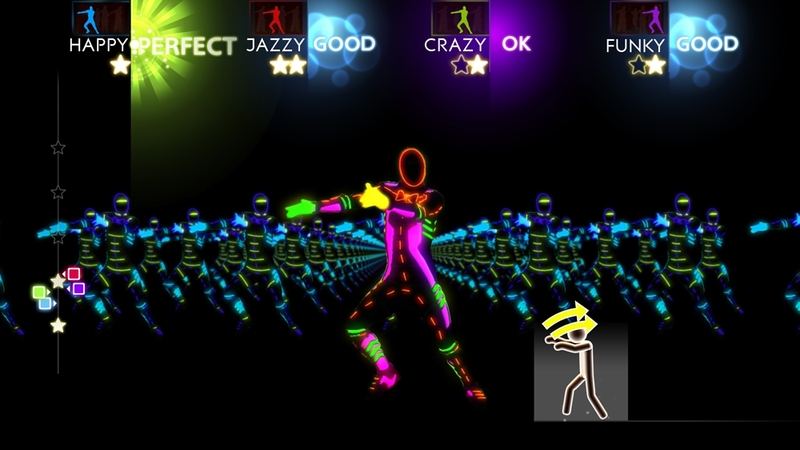 The world’s #1 dance game brand is back with Just Dance 4! The latest edition of the record-breaking franchise takes the party to a whole new level of fun with new game modes, coaches and stylish environments. Written by Savan Kotecha and Johan Schuster. Published by EMI April Music Inc. (ASCAP) / MXM Music AB. Admin. by Kobalt Music Pub. America, Inc. All Rights Reserved. Used by Permission. Courtesy of Sony Music Entertainment UK Ltd. Astro appears courtesy of Epic Records. By arrangement with Sony Music Licensing. "So Glamorous" (The Girly Team). 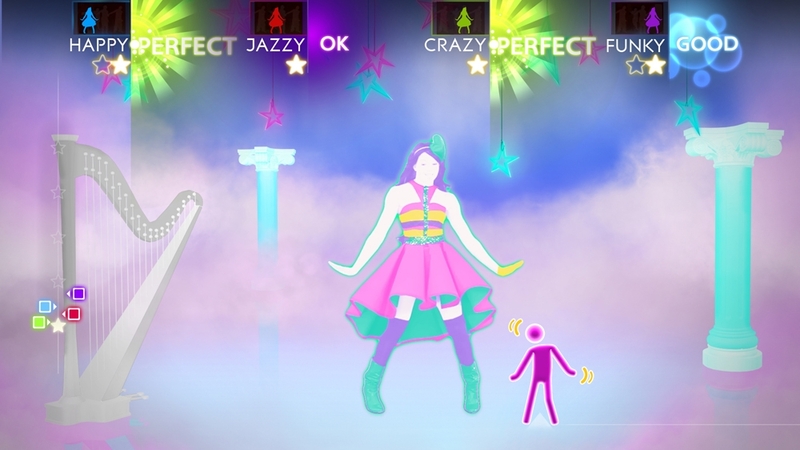 The world’s #1 dance game brand is back with Just Dance 4! The latest edition of the record-breaking franchise takes the party to a whole new level of fun with new game modes, coaches and stylish environments. Music Downloads Not Rated by the ESRB Composed by Harlin James and Clav. Published by KPM APM (ASCAP). Courtesy of APM Music. "Heavy Cross" (Gossip). 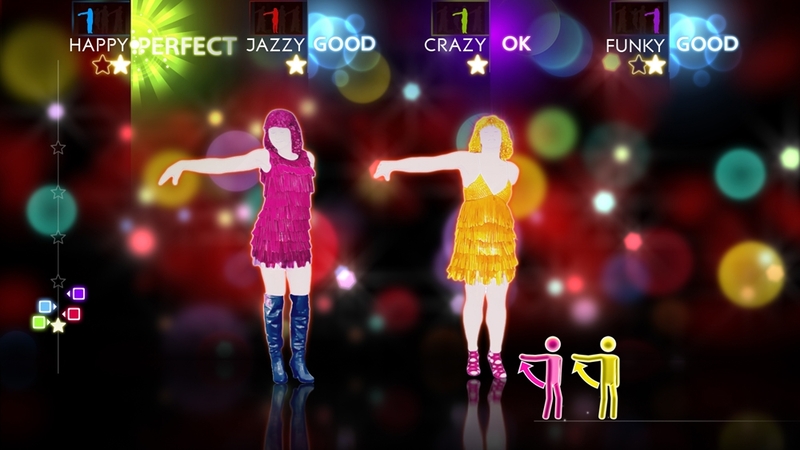 The world’s #1 dance game brand is back with Just Dance 4! The latest edition of the record-breaking franchise takes the party to a whole new level of fun with new game modes, coaches and stylish environments. Music Downloads Not Rated by the ESRB Written by Mary Patterson, Nathan Howdeshell and Hannah Blilie. Published by Chrysalis Music (ASCAP) o/b/o Chrysalis Music Ltd (PRS). All rights administered by BMG Rights Management (US) LLC. Courtesy of Columbia Records. By arrangement with Sony Music Licensing. "One Thing" (One Direction). 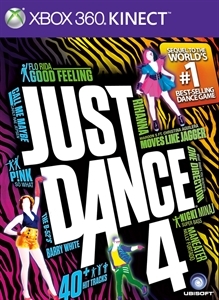 The world’s #1 dance game brand is back with Just Dance 4! The latest edition of the record-breaking franchise takes the party to a whole new level of fun with new game modes, coaches and stylish environments. Music Downloads Not Rated by the ESRB Written by Rami Yacoub, Carl Anthony Falk and Savan Kotecha. Published by Mr Kanani Songs (ASCAP)/ EMI April Music Inc. (ASCAP) / Rami Productions AB. Administered by Kobalt Music Publishing America, Inc. / Chrysalis Music (ASCAP). Courtesy of Simco Limited Under exclusive license to Sony Music Entertainment UK Limited. By arrangement with Sony Music Licensing. Hit The Lights - Selena Gomez and the Scene. 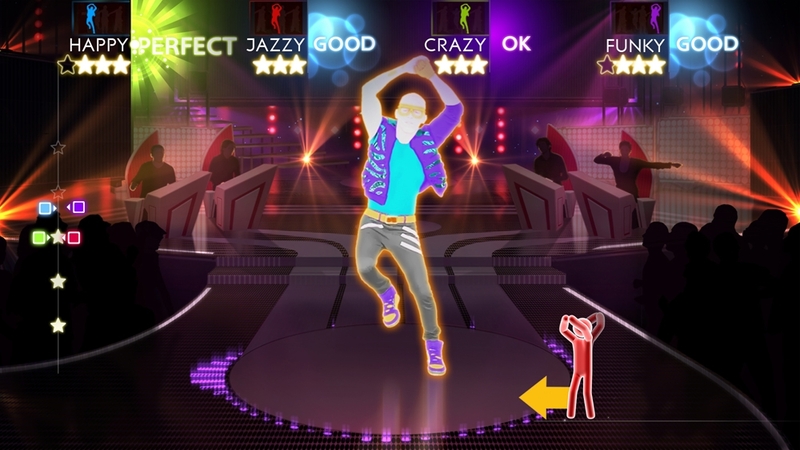 The world’s #1 dance game brand is back with Just Dance 4! The latest edition of the record-breaking franchise takes the party to a whole new level of fun with new game modes, coaches and stylish environments. Music Downloads Not Rated by the ESRB Written by Daniel Pringle, Tony Nilsson, Leah Cooney and Leah Pringle Haywood. Published by Land Down Under Music/Songs of Peer Ltd., Peermusic AB / Leah Pringle. Admin. by Kobalt Music Pub. America, Inc. Courtesy of Hollywood Records. "Funhouse" (P!nk). The world’s #1 dance game brand is back with Just Dance®4! The latest edition of the record-breaking franchise takes the party to a whole new level of fun with new game modes, coaches and stylish environments. Written by Alecia Moore, Jimmy Harry and Tony Kanal. Published by EMI Blackwood Music Inc. (BMI) and EMI April Music Inc. (ASCAP) / Pirate Ship Music (ASCAP). All Rights Reserved. Used by Permission. Courtesy of RCA Records, a unit of Sony Music Entertainment. By arrangement with Sony Music Licensing. "Dagomba" (Sorcerer). The world’s #1 dance game brand is back with Just Dance 4! The latest edition of the record-breaking franchise takes the party to a whole new level of fun with new game modes, coaches and stylish environments. Composed by Tom Salta. Published by Ubisoft Music. Courtesy of Ubisoft Music. "Part of Me" - Katy Perry. The world’s #1 dance game brand is back with Just Dance®4! The latest edition of the record-breaking franchise takes the party to a whole new level of fun with new game modes, coaches and stylish environments. Written by Katy Perry, Max Martin, Bonnie McKee and Lukasz Gottwald.